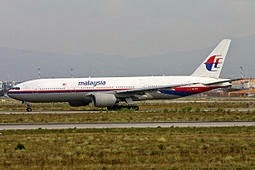 There has been much discussion over the past month about the existence of documents and reports related to the official investigation into Malaysia Airlines flight MH370 which disappeared on March 8th, 2014, and has led to a technical and criminal investigation. The search for the aircraft is focussed in the South Indian ocean and is due to be suspended in December 2016 if no new credible evidence comes to light that leads to a refinement of the current search area or a new search elsewhere. Over recent days I have been in private email exchanges with French journalist Florence de Changy, foreign correspondent, affiliated with Le Monde and French National radio, regarding confidential documents she has in her possession – confirmed both publicly (in a LeMonde article she wrote) and privately to me via email. I want to stress that Florence has not shared these documents with me, nor has she described the specifics of what is contained in these documents or sources for her investigation of MH370. Florence has been investigating MH370 since its disappearance and has published a book based on her investigation in March 2016; LE VOL MH370 N'A PAS DISPARU. She is working to conclude an English version of the book with updates. I want to thank Florence for entering into a dialogue over a number of days that I found constructive, frank and to the point. She has outlined her reasons and methodology for when is the right time to release confidential data and the means it is carried out. I’m going to respect that, though we do have disagreements on a number of issues. I publicly stated that Florence should ‘Do the Right Thing”. For different journalists, the phase might be subjective. But I entirely accept that Florence believes she is doing the right thing. Again, I might disagree, and much of this opinion is based on how, particularly recently, information is reaching the public forum. I’m deeply dissatisfied as to how this has happened over the past six or more weeks. It has hurt and caused a great deal of distress to the very people who deserve and need the most support and respect – the families of passengers and crew of Malaysia Airlines flight MH370. As journalists, we have to trust people, but above all, we also have to earn trust. We can trust and still learn that we were mistaken in placing our trust in someone. We are after all human, too. We are all divided; everyone seems to be pulling in different directions based on personal motivations, pet theories, agendas, egos, and filled with entrenched likes and dislikes of characters and personas. There is enough of a disconnect in the official investigation without us adding further to it on the sidelines. We need to all work together no matter our disagreements and differences. During my dialogue with Florence this week (and I want to stress it was exclusive of the following point), a valid concern and reason was raised to me as to why the Royal Malaysian Police report (RMP) should not be released in full. It has given me quite some pause for consideration. I was very much vocal in its absolute release in full. Will my daughter wonder why I texted my son goodbye at the airport and not her? Does my wife want to know now after two years of not knowing that I had a gambling addiction she never knew about? I was waiting to get back home before I told my dad mom’s tests at the hospital weren’t good? While I present the above possibilities as fictitious, one only has to consider what was going on in the lives of those passengers and crew. In the search for MH370, none of the above may matter to the rest of the world and get us closer to finding MH370, but they may just matter in a devastating way to a loved one. So, the real question here is when a criminal investigation report is leaked, fully or partially, who exactly are the people who get to decide what is released, not published, redacted or cherry-picked, to serve a media hungry frenzy or a prescribed agenda? We all want any data published that takes us a step closer to knowing the where, how and why of MH370. But we must also ask who is in custodianship of that data (official and unofficial), now; not last week, a month ago, or a year ago. Perhaps we should also consider how such secret documents are also released in a way that does not cause more harm than good, and yet gets us no closer to finding the answers to MH370. The Malaysian High Court has today ordered all documents pertaining to the disappearance of MH370 to be provided to 76 family members of the passengers in a civil suit against Malaysian Airlines System Berhad (MAS). The next-of-kin of the passengers sought the release of 37 documents, including communications, correspondence, documents and other materials, notes, memoranda, internal documents and investigators reports in relation to MH370. The court has filed a date of October 20th for documents to be exchanged.